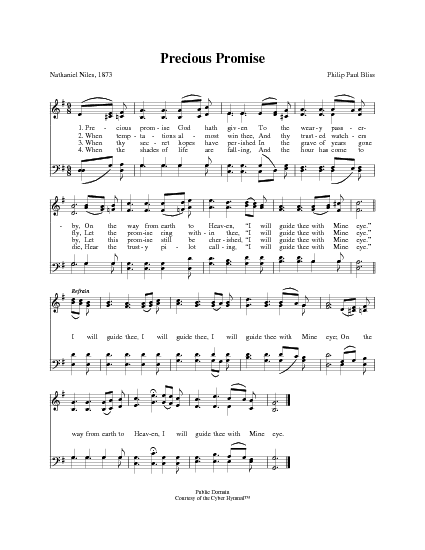 "This well-known ‘Moody and Sankey' hymn was written by Mr. Nathaniel Niles, a resident of Morristown, New Jersey, and, at that time, a lawyer in New York City. Mr. Niles was born at South Kingston, Rhode Island, September 15th, 1835. He composed these verses on the margin of a newspaper in the railway car while on his way to business."